I have a large undecorated wall behind my couch at my apartment. At the moment I have a poster of London from the 1950’s, which I love, but the photo is too small for the space. 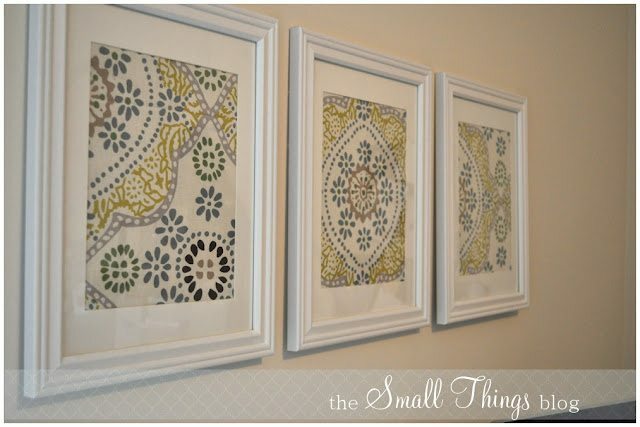 I haven’t really found ideas that I love to fill the space, but I came across this project for some wall art at The Small Things Blog and thought it would be a good one!